For more information call 1-800-398-8647. The AudioCodes MP118-8FXS Gateways are well-suited for commercial VoIP deployment. The MediaPacks are third generation products that have been designed to meet real market needs. The MediaPacks are vastly deployed in the MTU (Multi Tenant Units) broadband access networks, IP Centrex and rural areas. The Audiocodes Mediapack Gateways are well-suited for commercial VoIP deployment. Field-proven voice and fax technology and feature-rich design makes the MediaPacks an excellent solution for various emerging VoIP applications. 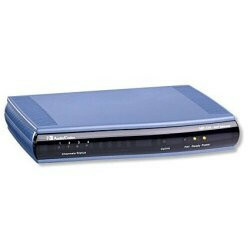 The MediaPacks are used in VoIP-based PBX or IP-PBX architecture as a mediation gateway and remote analog extension. It is also used for optimizing voice transmission over satellite links, payphone networks, centralized IVR and Quality Monitoring applications. The MediaPacks by AudioCodes are vastly deployed in the MTU (Multi Tenant Units) broadband access networks, IP Centrex and rural areas. Audiocodes Mediapacks do not include setup, installation, configuration, or post sales support. These options are available as add-ons.